You are viewing the beth revis tag archive. Yesterday, January 2, was National Science Fiction Day. It’s not an official day, but who cares! 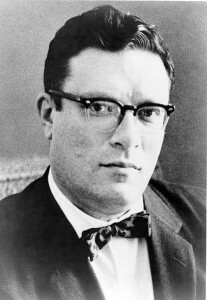 It’s Isaac Asimov‘s birthday, and therefore an excellent day to acknowledge the marvel that is science fiction. People say a lot of things about science fiction — the general consensus is that its lack of true definition is what defines it. In my own mental organization, I put it into two completely made-up and semi-useless categories: earth-based sci-fi and space-based sci-fi. Think The Matrix vs. Star Wars. Within these categories, you can find numerous sub-categories, rubbing the line with post-apocalyptic and dystopian fiction, as well as other forms of speculative fiction like gaslamp, alternate history, steampunk, cyberpunk, and so many others that I’m just going to send you to the science fiction Wikipedia page. What’s going on with it now? Most of the time, I love young adult literature and am proud to be a YA librarian. But there’s usually a moment once a month when I feel sick, tired, and embarrassed to be working with YA books for a living — and that’s when I flip through my stack of review journals and see a menagerie of gorgeous white girls staring back at me from the covers of upcoming releases. These forms of racism on the part of publishers are unacceptable. And the fact that it is so rampant within the young adult publishing industry seems particularly despicable. The first step toward change is awareness, and so below I’ve tried to pull together a collection of examples of these forms of subtle and not-so-subtle racism. If you have other examples, please share them in the comments. 31 Days of the Next Big Thing: More Science Fiction for Teens? Make it So! Back in May The Hub tackled upcoming trends and I mentioned that “straight-up, non-dystopian, space-ships-and-aliens science fiction for teens” was a trend I saw coming, though I also noted that it was possibly wishful thinking. Being a card-carrying, president-of-the-science-fiction-and-fantasy-club-in-high-school SF fan, I’ve complained a lot in the recent past about the dearth of good YA science fiction, and while I’ve enjoyed a lot of the recent dystopian and post-apocalyptic titles, what I was really craving were the kind of books I read growing up, only new. And for teens. I’m thinking of authors like Isaac Asimov, Robert Heinlein, William Sleator, John Christopher, Frank Herbert, Anne McCaffrey, and Andre Norton or books like A Wrinkle in Time, Ender’s Game, The Martian Chronicles, Lord of Light, Earthseed, and so many others. Six months and a dozen new SF titles later I think this is an honest to goodness trend, and I couldn’t be happier. Continue reading 31 Days of the Next Big Thing: More Science Fiction for Teens? Make it So! Teen Read Week is October 14th through 20th, but here at The Hub, we’re celebrating for ten days so we can bring you interviews, guest posts, videos, and more with each of the authors whose books made this year’s Teens’ Top Ten. 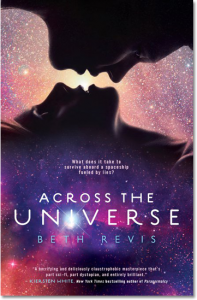 Today we feature an interview with Beth Revis, whose book Across the Universe is #6 on this year’s list. Congratulations! How did it feel to know your book was a Teens’ Top Ten selection? I screamed out loud! This is one of the pie-in-the-sky awards that I’ve secretly longed for even before I was published. This is such a vote of confidence from the very people I wrote the book for, and that means everything to me. While it clearly has its roots in science fiction, Across the Universe can just as easily be called a mystery or a love story. Did you intend to create such a genre-blending book, or did it evolve naturally? It evolved naturally. When I started writing, I was frankly scared. I’d never written a sci fi before, and wasn’t sure I could do it properly. The roots of the story comes from the murder mystery and the twist at the end — and for those two things to work, I needed a science fiction setting. Once I started writing the world of Godspeed, everything else came naturally. Across the Universe opens with a detailed scene that is quite chilling for both the characters and the reader. How much of that is based in current cryogenic science and how much was from your imagination? Continue reading 2012 Teens’ Top Ten Winners! Adults reading teen literature isn’t confined to bookstores — it’s also happening in the library, based on my personal experience in the 8 years I’ve been a Teen Librarian. I’ve had hundreds of conversations with adults about teen books. Sometimes it’s parents asking about books for their teen. Sometimes it’s parents wanting to read the same book as their teen. Many times, it’s an adult interested in reading teen books. I often talk about teen books with my coworkers, especially the women in the processing department. Often they place holds on teen books. Right now, one is reading Throne of Glass and one is reading Keeper of the Lost Cities. I persuade my husband to read teen fantasy and teen science fiction books. I pass along books to my sister and my mother. I talk about teen books with adults all the time and urge them to pick up these fabulous reads. So frankly, I’m not surprised at all by the news that adults are reading teen books; it just makes sense. School’s back in session, and that means many of us are having to use numbers again — whether it’s in mathematics, science, or some other class where numbers are used. In looking at YA fiction that’s come out this so far this year, I’ve noticed that in addition to the many one-word titles (Starters, Above, Struck, Momentum, Quarantine, etc. ), there are also a lot of titles containing numbers. Being a curious librarian and a trivia geek, I looked up the numbers to see if their meanings might have any correlation to the plots of the books. Unfortunately, I can’t say I found any, but I did discover lots of fascinating (at least to me) random facts and tidbits about numbers from mathematics, science, philosophy, literature, and other disciplines (all gleaned from Wikipedia) that I thought I’d share with you. Zero by Tom Leveen: An aspiring artist, who refers to herself jokingly as “Zero,” loses scholarship money, and her future art career looks as bleak as the paintings by her idol Dali. Records show that the ancient Greeks seemed unsure about the status of zero as a number. They asked themselves, “How can nothing be something?” leading to philosophical and, by the Medieval period, religious arguments about the nature and existence of zero and the vacuum. In the wake of The Hunger Games, YA bookshelves are overflowing with novels set in the future. As a name enthusiast (okay, name nerd! ), I’m intrigued by the names authors choose for their characters. I find myself evaluating futuristic names according to current name trends, pondering the likelihood of these names being used decades or centuries from now. If we examine the rise and fall in popularity of some of these names over the past 150 years or so, what predictions can we make for the future? Expectant parents are increasingly choosing names that were popular with their great-grandparents. Antique names sound fresh, and while the following names aren’t exactly common yet, their gradual upswing in popularity may indicate a continual rise, positioning them for widespread use by the time these futuristic heroines are saving the day. Beatrice: Divergent by Veronica Roth (2012 Best Fiction for Young Adults selection, 2012 Readers’ Choice selection, 2012 Teens’ Top Ten nominee) features a society divided into factions and a girl who doesn’t fit into just one category. According to the Social Security Administration (SSA)*, the name Beatrice was among the 50 most popular names during the early 1900s. After a long absence on the popularity charts, it’s recently crept back into the top 1,000 names. June: The ambitious heroine of Legend by Marie Lu (2012 Teens’ Top Ten nominee) bears a surprisingly sweet name, considering she’s determined to avenge her brother’s murder at any cost. The name June was most popular in the 1920s. It reappeared in the top 1,000 in 2007, and is now #470 on the SSA list. Eve: In Eve by Anna Carey, girls are taught to fear men after a plague destroys most of the earth’s population. The name Eve, a Biblical classic, has hovered around the middle of the SSA’s top 1,000 list, rising to modest popularity in the 1910s and again in the 1960s. It fell off the charts for several decades, but we’re now seeing more Eves born in the United States than ever before. The name is definitely plausible for Carey’s book, set in 2032. Geeks, your time is now. The movie theaters are filled with an influx of science fiction films like Prometheus and films that rely on super tech gadgets like Men In Black III and The Avengers (did you see our Avengers Reading List?). It seems we’ve all gotten used to our tablets, smart phones, and electric cars and it’s time for the next big thing. So until hovercraft parking becomes a reality, here are some new science fiction novels filled with optimistic innovation meant to morph our modern time into truly stellar circumstances. Years ago, I read Abhorsen by Garth Nix (a 2004 Selected Audiobook for Young Adults) and I was hooked on the blend of fantasy and hard science. His newest book, A Confusion of Princes, came out on May 15, and I made sure to be first on the hold list. 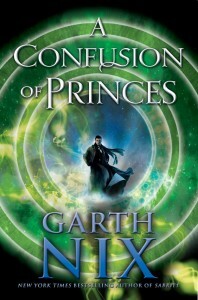 Reading about Prince Khemri and fantastic amount of pure science that makes up his world, I was saddened by my realization that Nix is so smart. I think that were I ever to have dinner with him, I would be stuck with only polite replies because the odds of me truly understanding how he created the bitek, psitek and mektek that rule Empire would be small. The best part of the entire novel, aside from the hilarious names of the sixteen priesthoods, is the seamless integration of two genres that fit together in in cyborg-like harmony, each complementing and supporting the other. 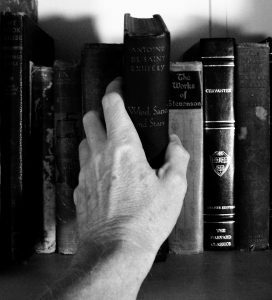 As a child of the Eighties, and a blossoming prolific reader, sadly I went through what many a science fiction lover had to face: the dreaded direct leap from children’s to adult books. I was a teen before the dramatic growth of young adult literature in general, and before the arrival of a distinct science fiction genre in the young adult age bracket. Not only was my library’s young adult collection a very short span of shelves that were closely guarded by vigilant adult librarians, but what little there was did not include very much in the way of science fiction. 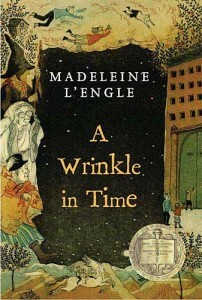 While I found–and obsessed over–Madeline L’Engle’s A Wrinkle in Time, I never uncovered those other children’s sci-fi classics like William Sleator’s books or Escape to Witch Mountain by Alexander Key (though I did see the movie, later!). My first distinct memory of reading a chapter book was exploring Anne McCaffrey’s Dragonsong, Dragondrums, and Dragonsinger with my mom. Shortly after, I devoured the few Tamora Pierce and Diana Wynne Jones books I could find. My mom actually went out of her way to buy me more of these books when I couldn’t get them at the library. Those books were my gateway into a fantastical new world. I soon discovered, though, that even as I was ready for more, for a longer, more challenging read, the only direction I could go in led me to books like Adams’ The Hitchhiker’s Guide to the Galaxy, McCaffrey’s Crystal Singer series, and Asimov’s novels.